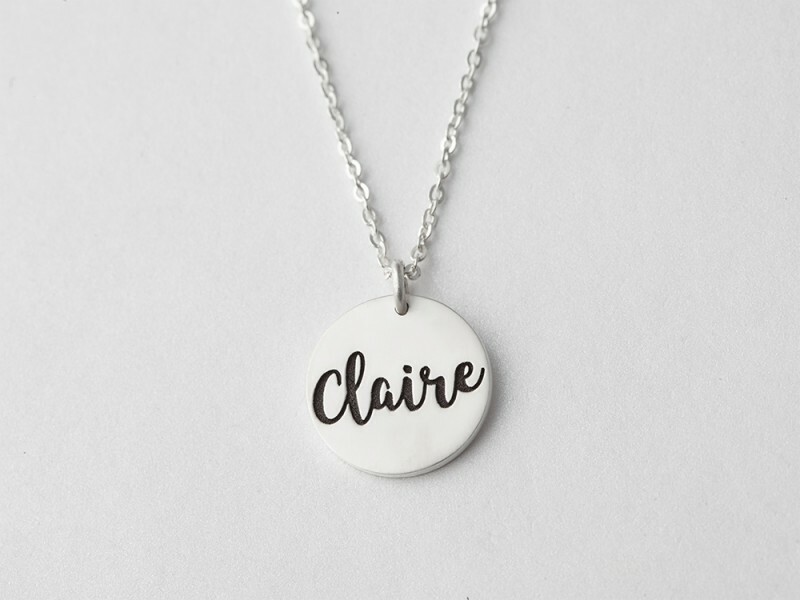 A disc engraved name necklace with a rolling, stunning font. 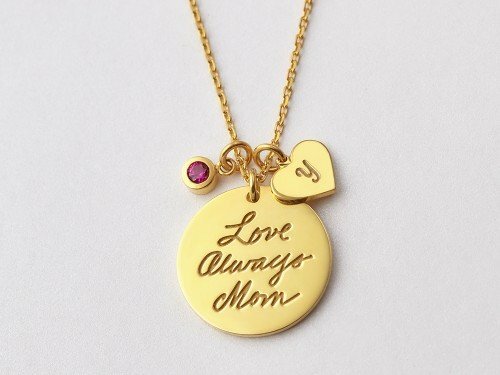 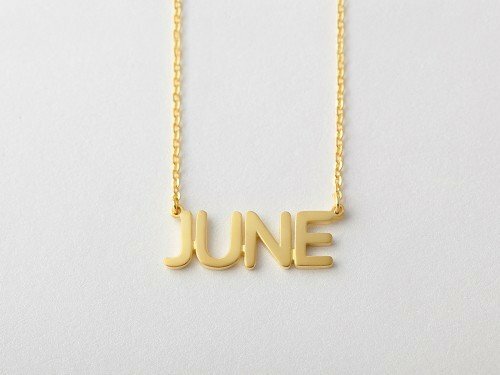 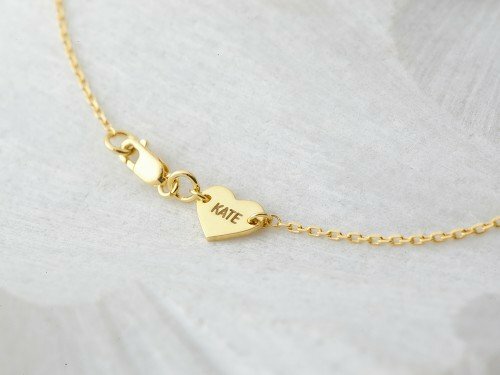 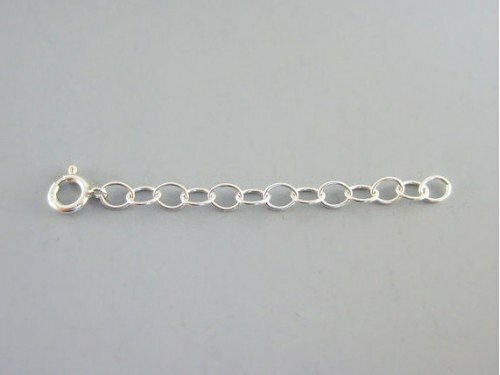 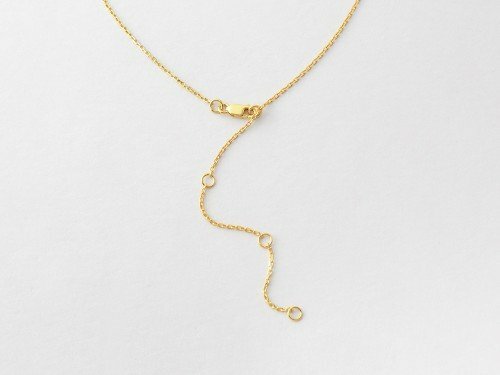 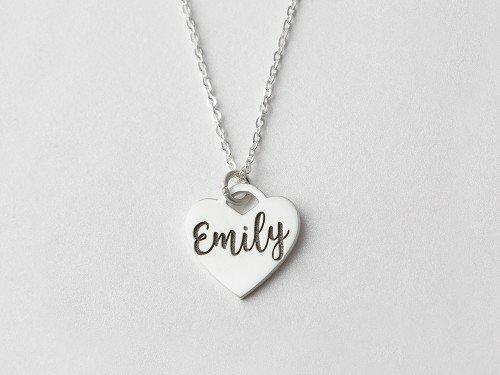 This custom name necklace is an easy, perfect gift for bridesmaids or birthday girls. 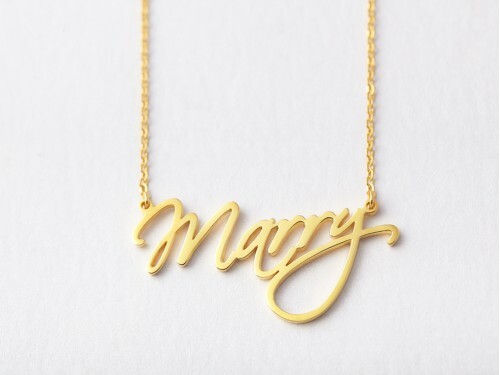 Available in sterling silver with 18K gold plate option, this name plate necklace is quality and style on one beautiful chain.